I didn’t realize how much I was missing the challenge, coordination and beauty of the younger years I spent in dance class until I returned to the barre at Barre Beautiful. Dance, and ballet in particular, is such a lovely art form, not to mention an amazing way to tone, lengthen and strengthen the body, and I’m glad it’s caught on as a fitness offering for those of us who find themselves bored to tears on a treadmill. 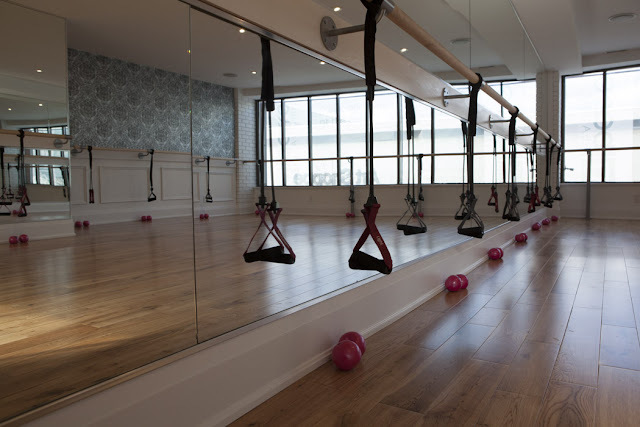 One of the latest studios to open in the city focusing on this hot new workout trend is Barre Beautiful at Yonge and Eglinton. Voula Floros, an early adopter of the barre fitness trend south of the border who decided to give the routine a Canadian cult following here in Toronto, opened the studio last February. I’ve tried the barre-based workout before and have thoroughly enjoyed the cardio and dance elements they incorporate, so I was looking forward to seeing what Barre Beautiful had to offer. Classes link classical dance training moves with strength training and Pilates that challenge your stability and muscle endurance while promoting good posture. I was invited to attend a weeknight Cardio Barre class at the studio with about a dozen other ladies. The small group size meant our instructor could come around to correct our technique and challenge us to keep up with the routine to really feel their effects. My glutes definitely responded to her encouragement. The 55-minute class meshed the plié and relevé barre moves I fondly remembered from my dancing days with heart pumping cardio and sculpting routines to burn calories and challenge muscles as we used tension bands and medicine balls. I could see how if I kept this up a few times per week it would result in that strong, long and lean look that makes a dancer’s physique so enviable. The tingling feeling in my legs at the end of class is exactly what I needed, and although some of the movements were fast and hard for me to keep up with in perfect form I’m sure I could eventually keep up with the speed with more practice. 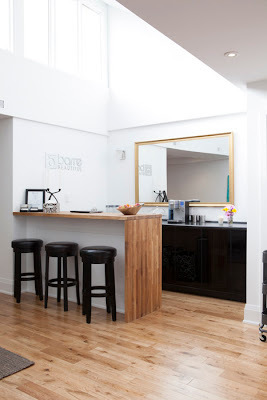 When the class was over Voula welcomed the ladies to have some apple slices and water at the studio’s bar-like area and take a breather in the beautifully styled lounge area that looked like the perfect apartment living room. I also took a peek at their fashion-forward selection of yoga wear from Canadian brands Karma and Michi that you would definitely want to be wearing in and out of the studio. Your first class at Barre Beautiful is complementary. Checkout their class times, full class descriptions and packages at barrefeautiful.com and visit them on Facebook and Twitter for more.